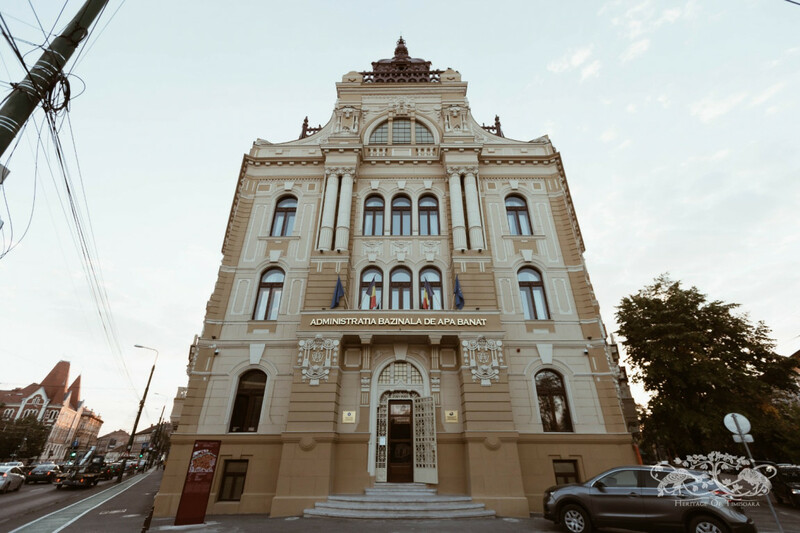 Iosefin 2 Sfânta Maria sq. 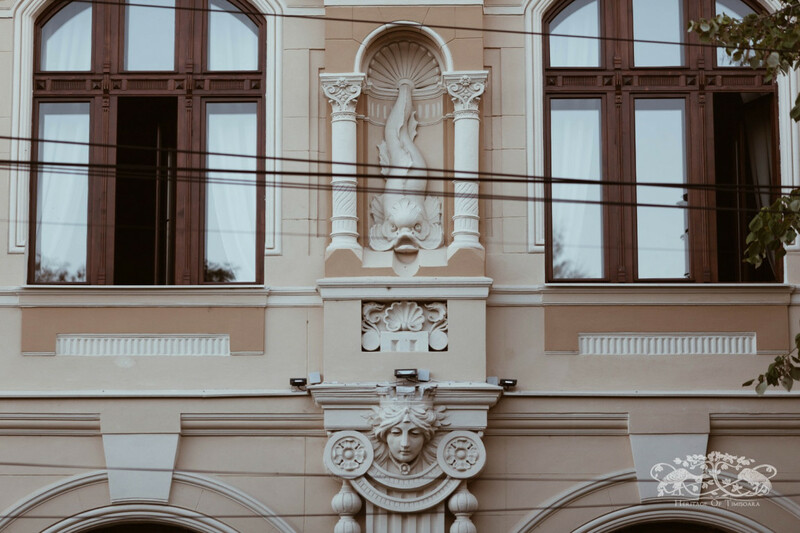 The Palace of Water marks the entry into Iosefin neighbourhood, together with the Marschall Apartment Building situated across the street, after crossing the Traian Bridge from Cetate (the walled city) neighbourhood. 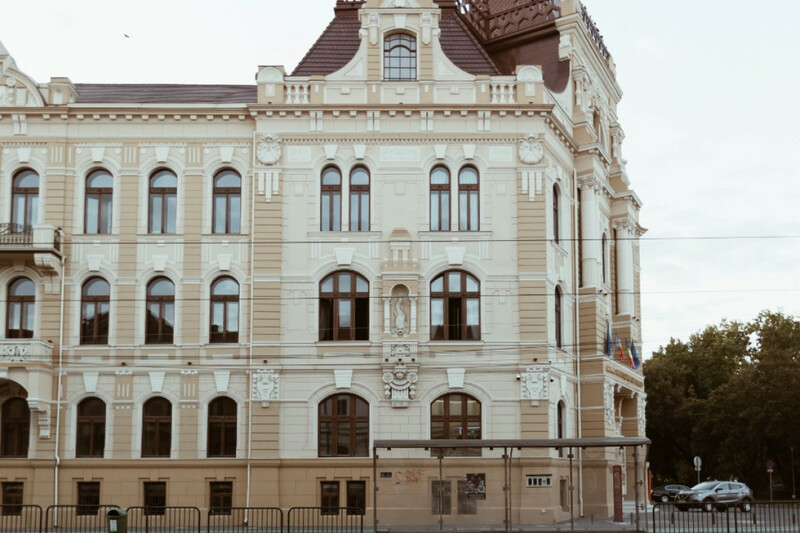 The impressive building was built by Karl Hart, following the plans of the renowned architect from Budapesta Lipót Baumhorn, author of several emblematic buildings of the city, including the former Fabric Synagogue, Lloyd Palace, the Jewish Community Palace as well as the Pedagogical High School 'Carmen Sylva.' 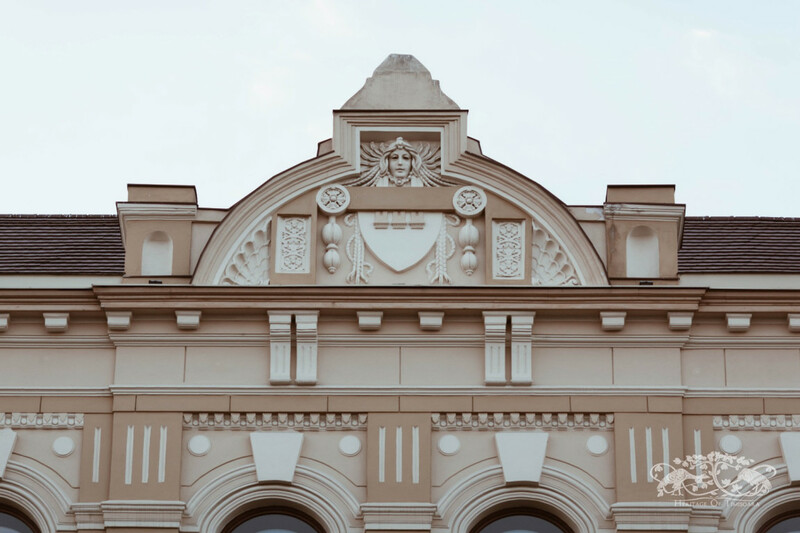 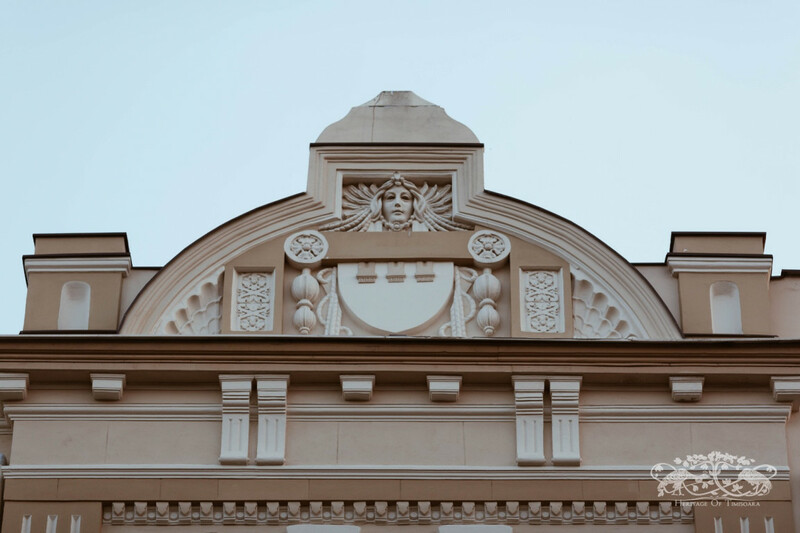 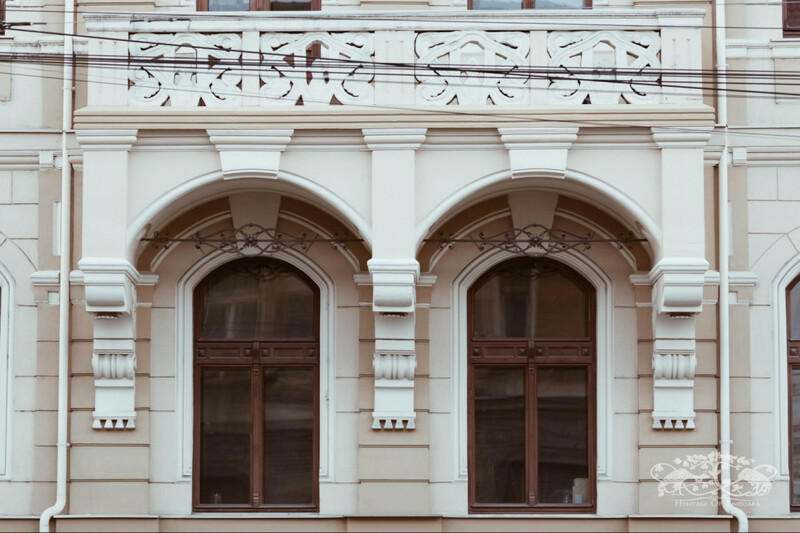 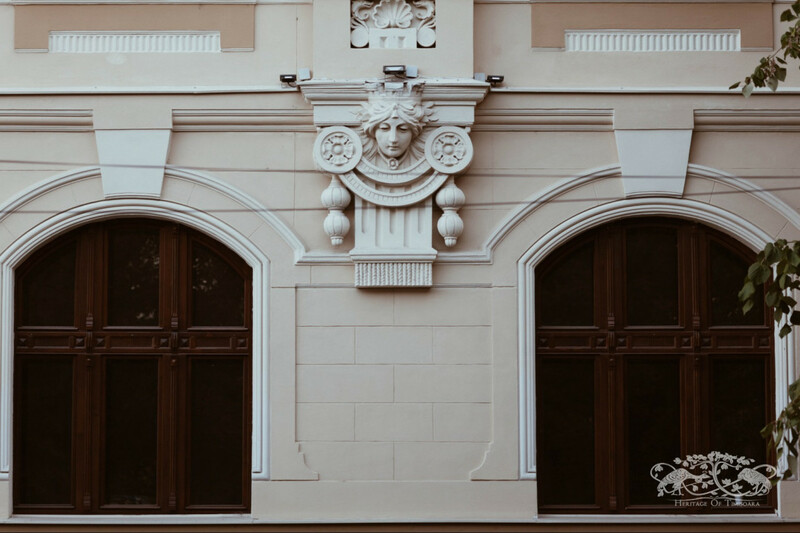 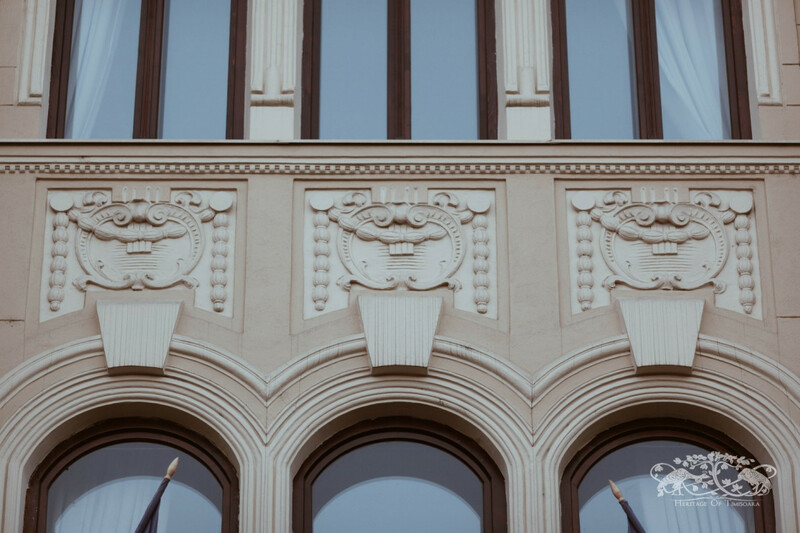 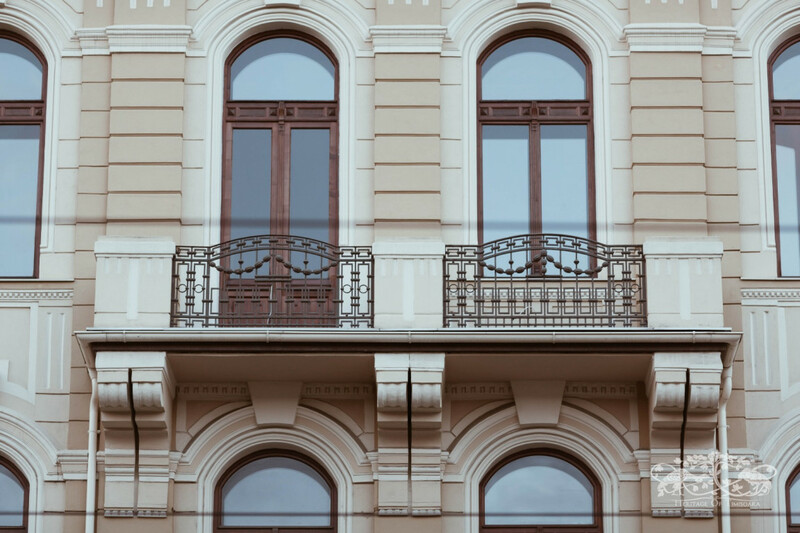 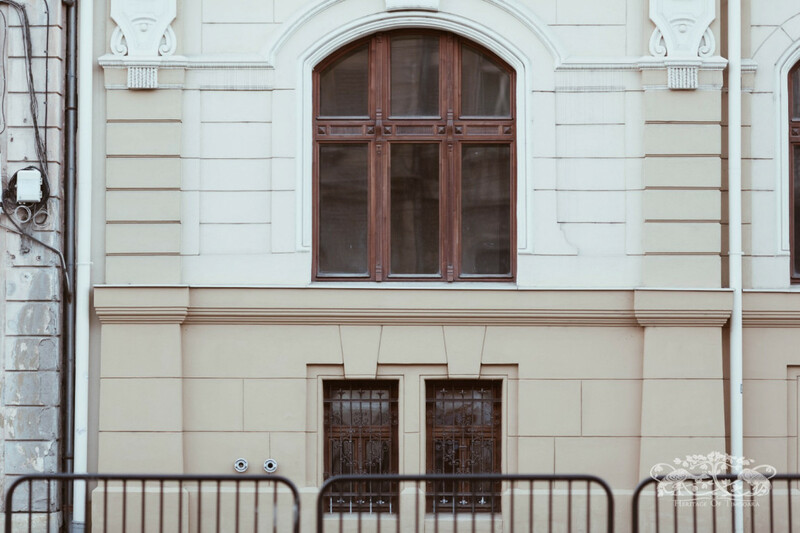 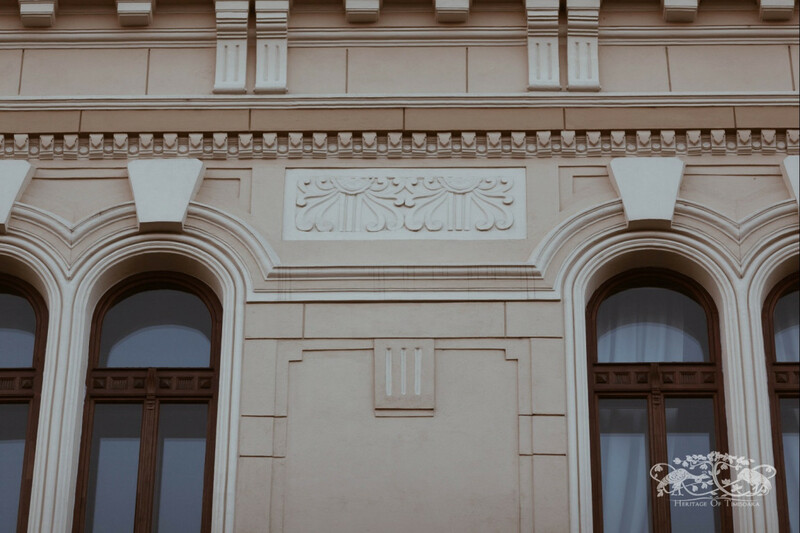 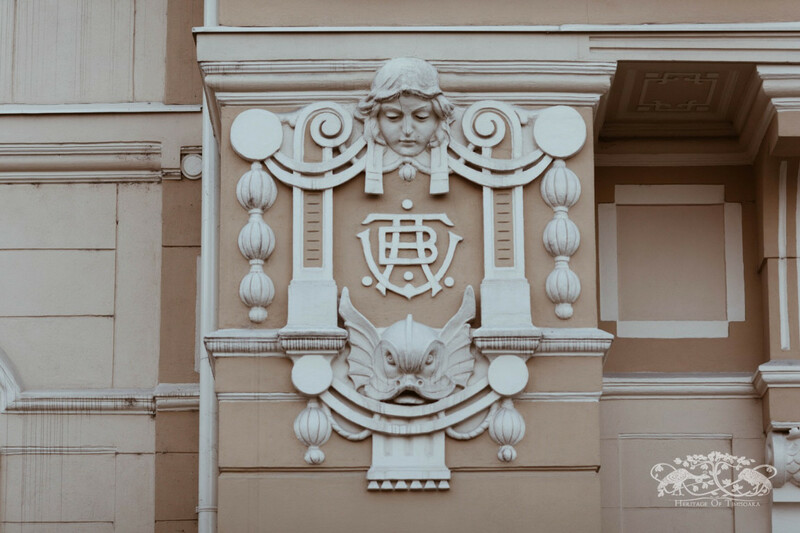 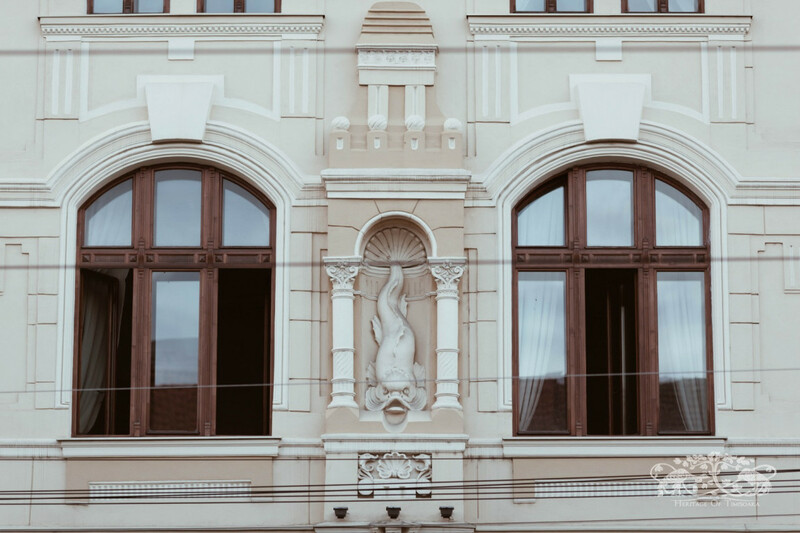 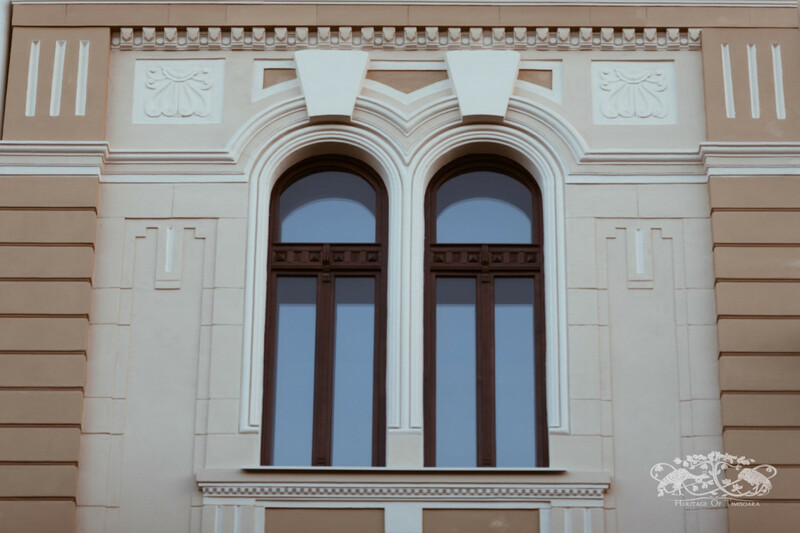 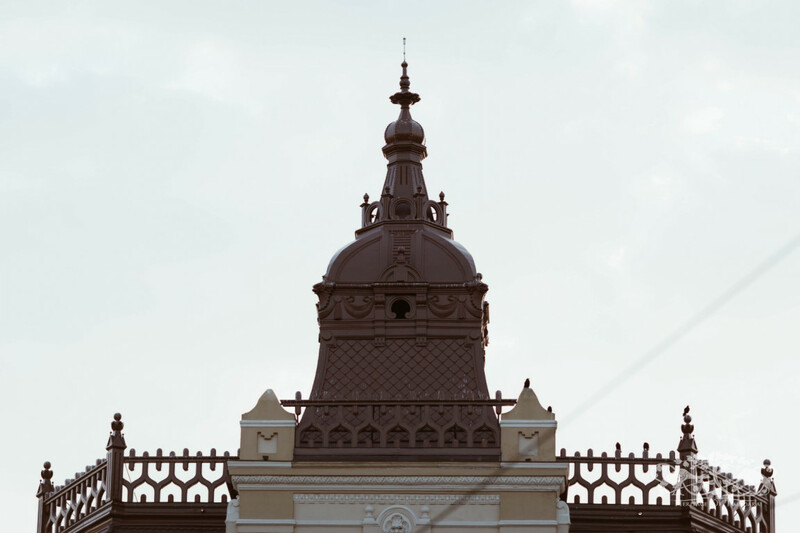 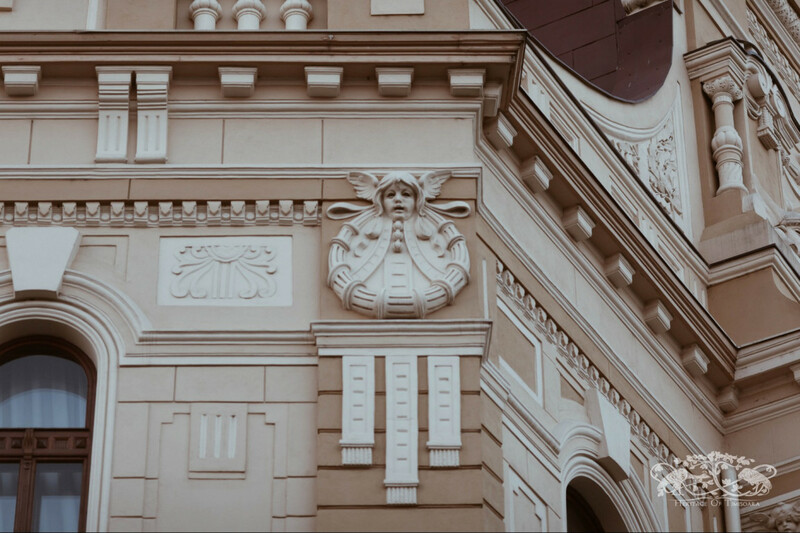 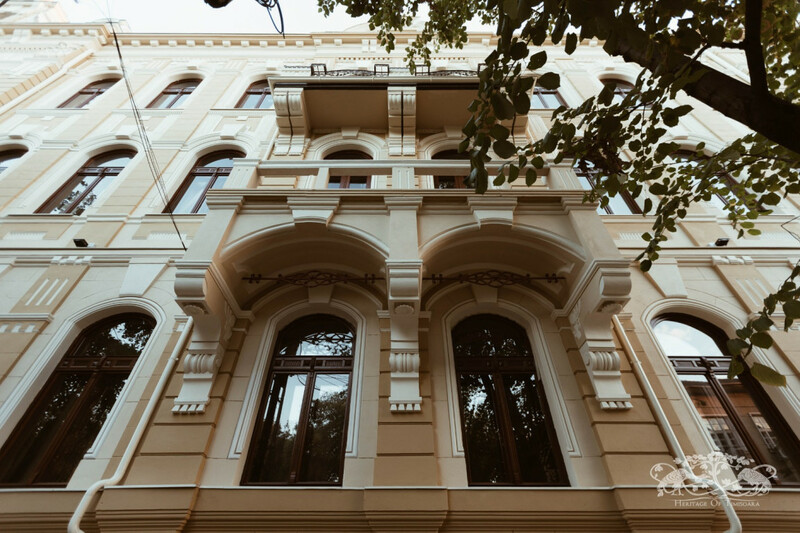 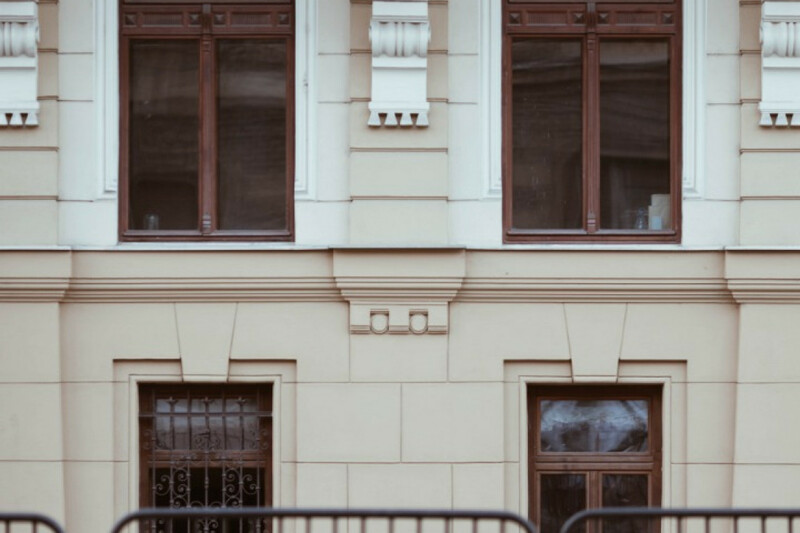 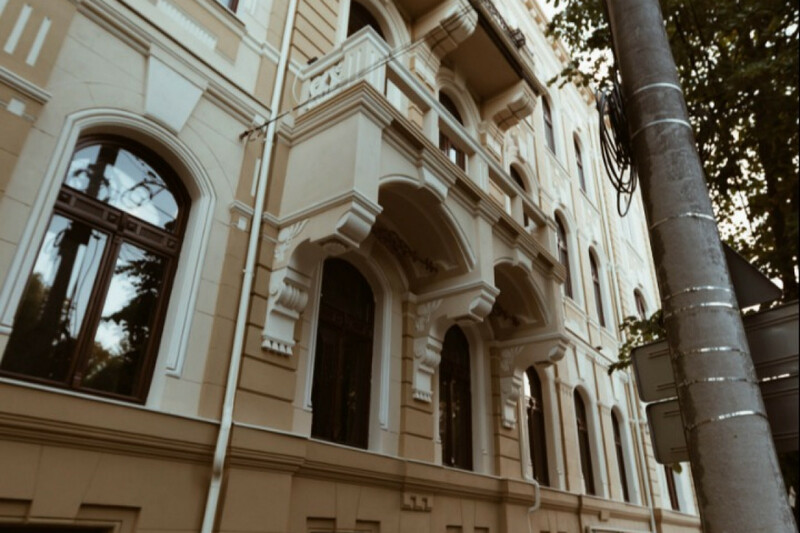 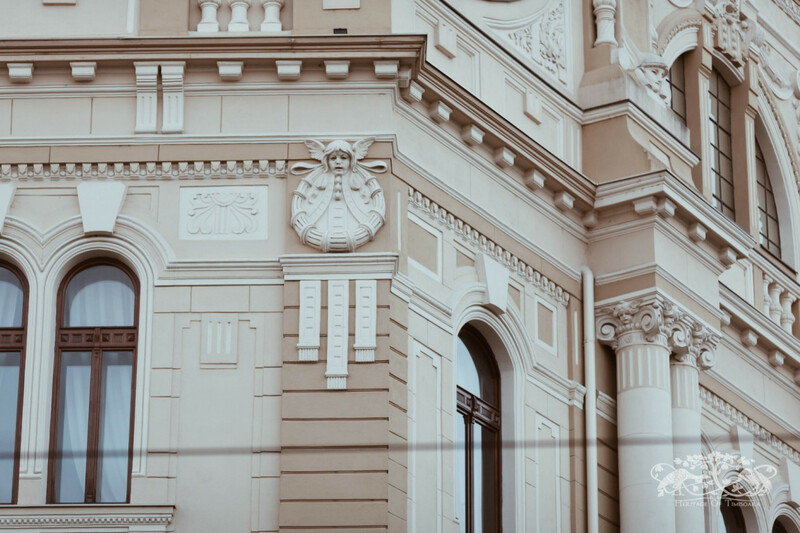 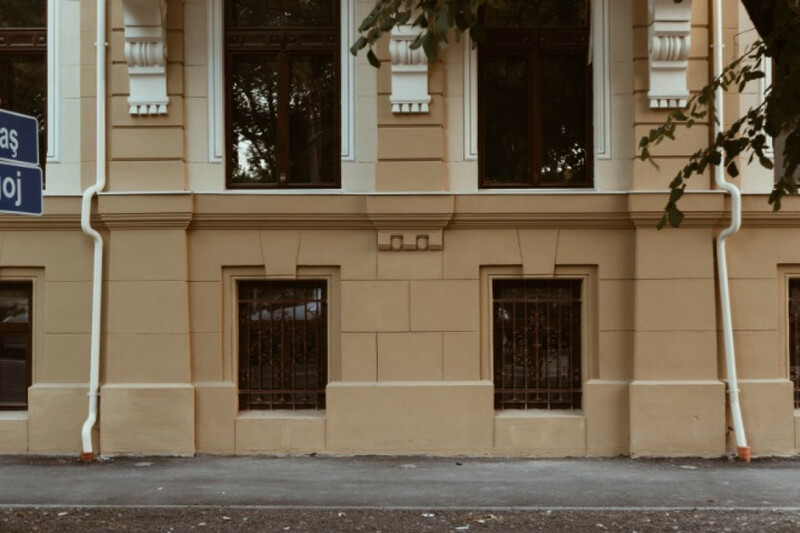 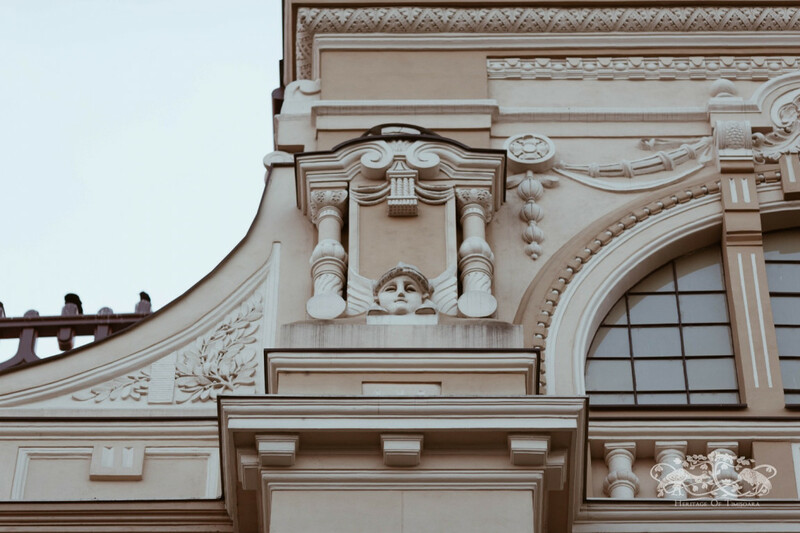 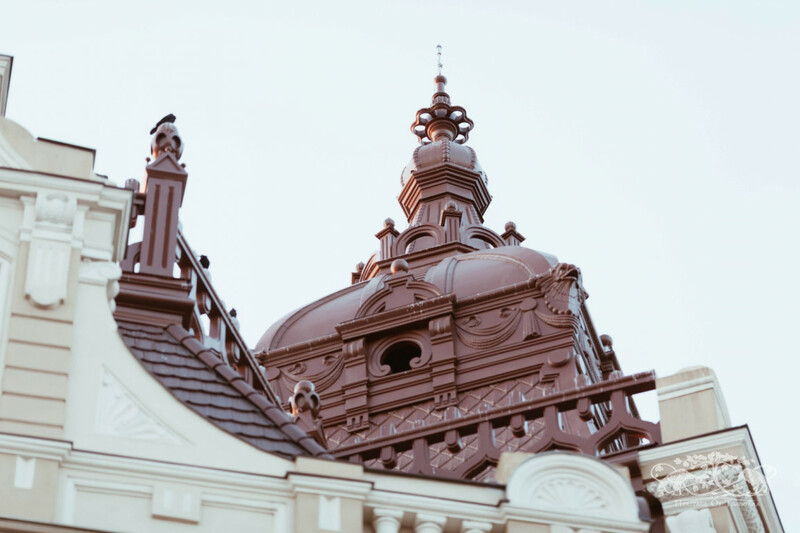 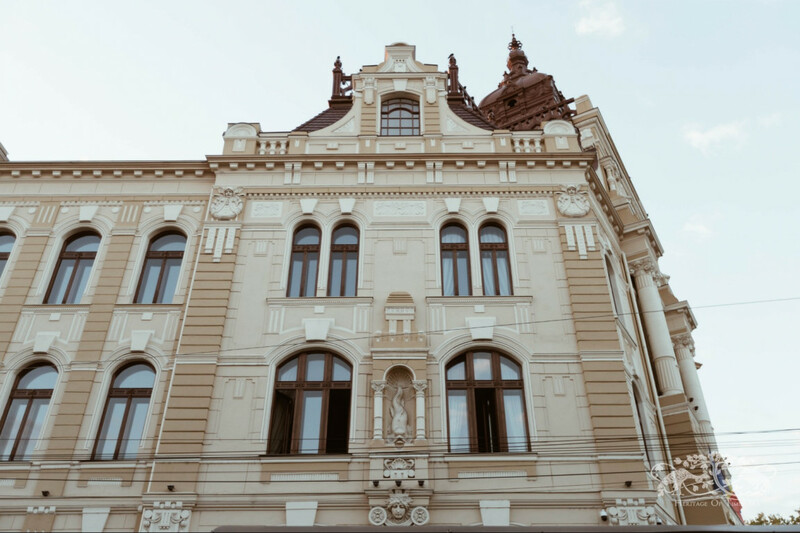 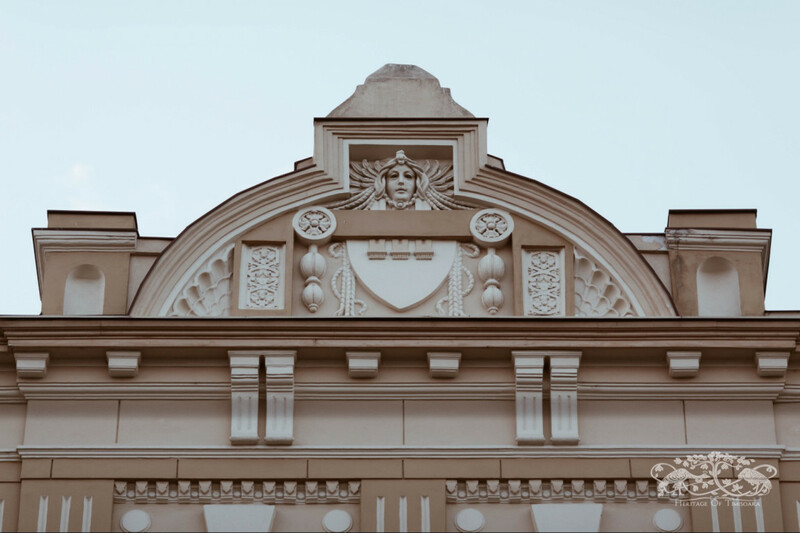 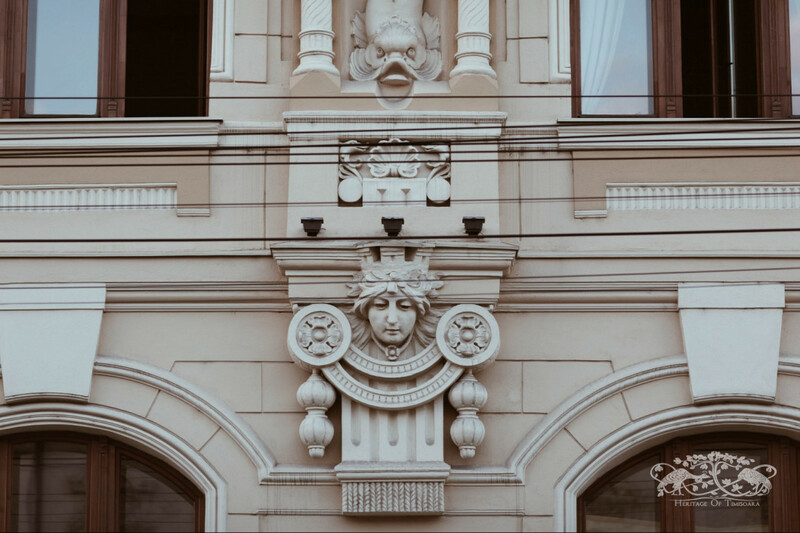 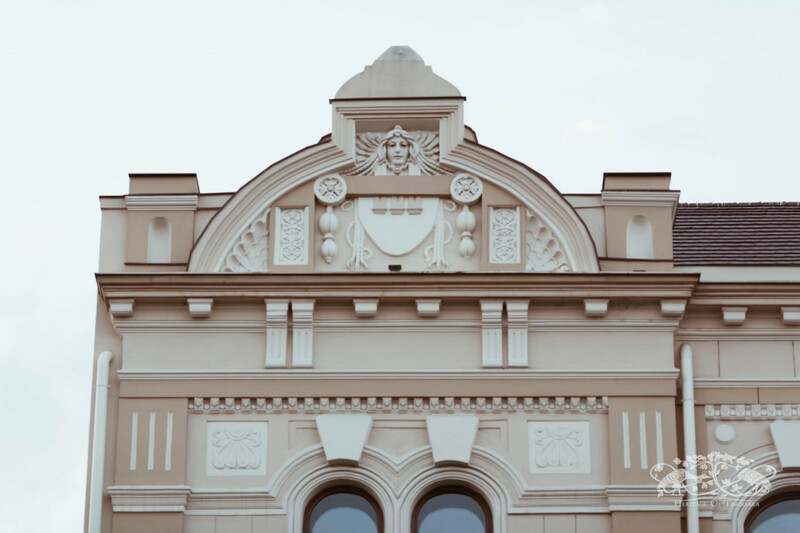 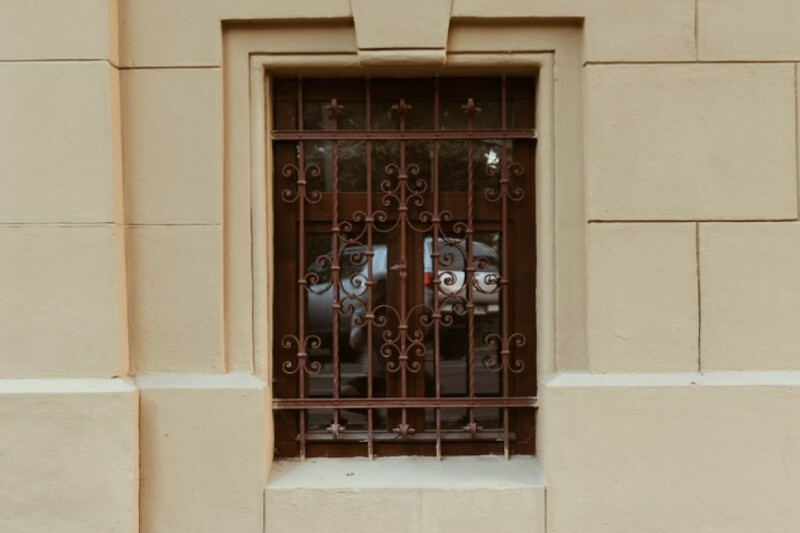 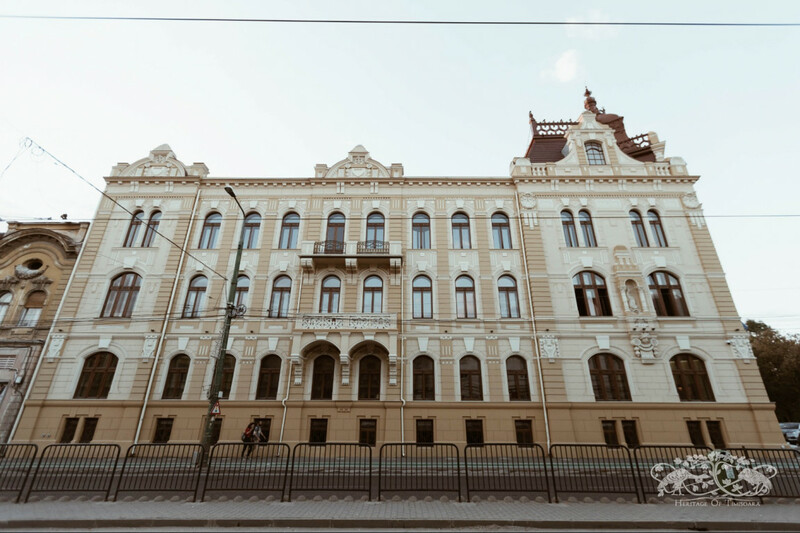 Field observations by local researchers indicate that some buildings such as the Mercur Palace (the former Béla Fiatska Palace), István Nemes Apartment Building, or the Palace on 3 Lucian Blaga Street were also designed by Baumhorn. 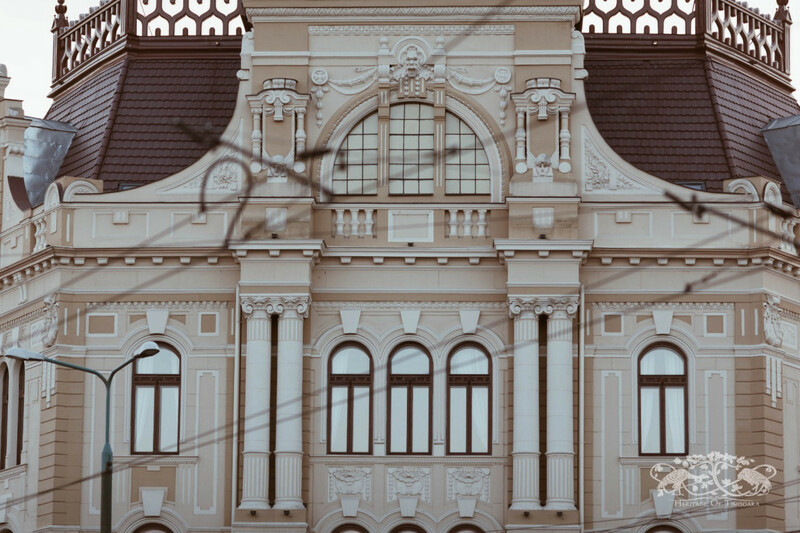 Originally a one-story building (construction authorisation August 13, 1900 - completion date August 29, 1901), the Water Palace building was later rebuilt by Arthur Tunner, an event that generated in urban culture a legend (very well represented in the illustration created by Kape Illustration for Heritage of Timisoara: Iosefin edition) that the first floor of the palace was raised -- the new floor being added to the released space. 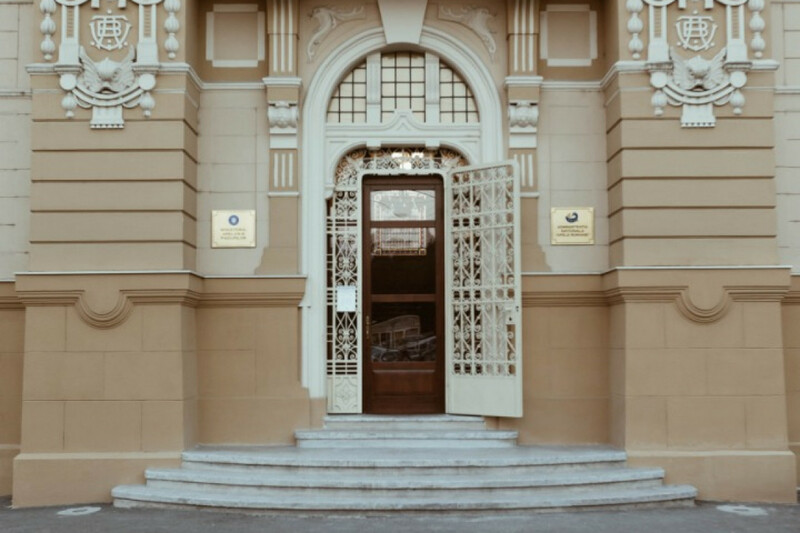 The approval for the floor addition was obtained in February 1906. 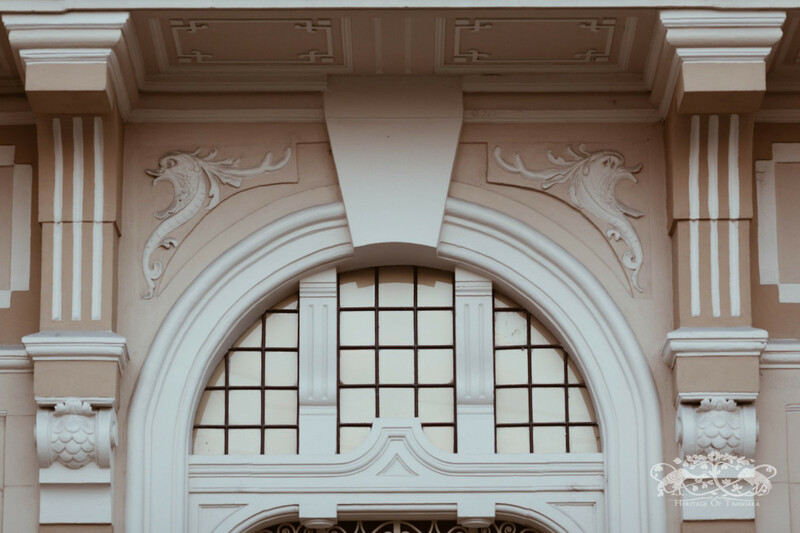 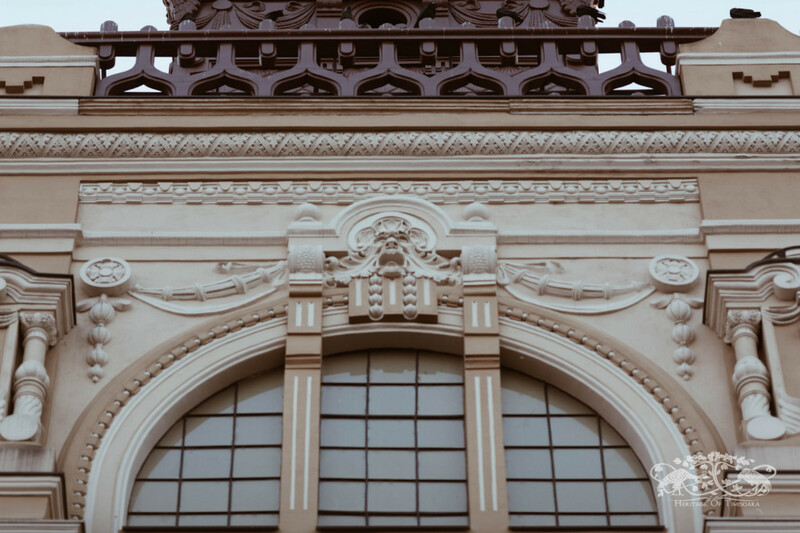 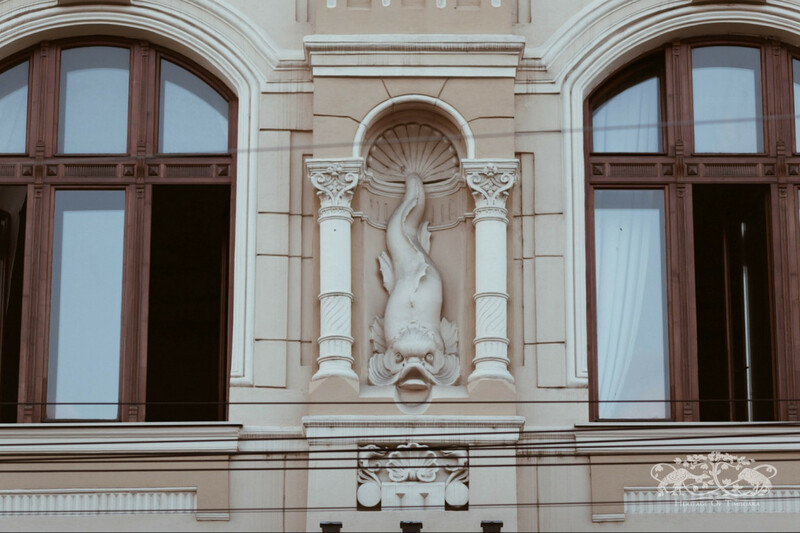 Decorated in the 1900s style, the Palace of Water showcases ornaments inspired by marine life, such as fish, seahorses, shells and marine plants. 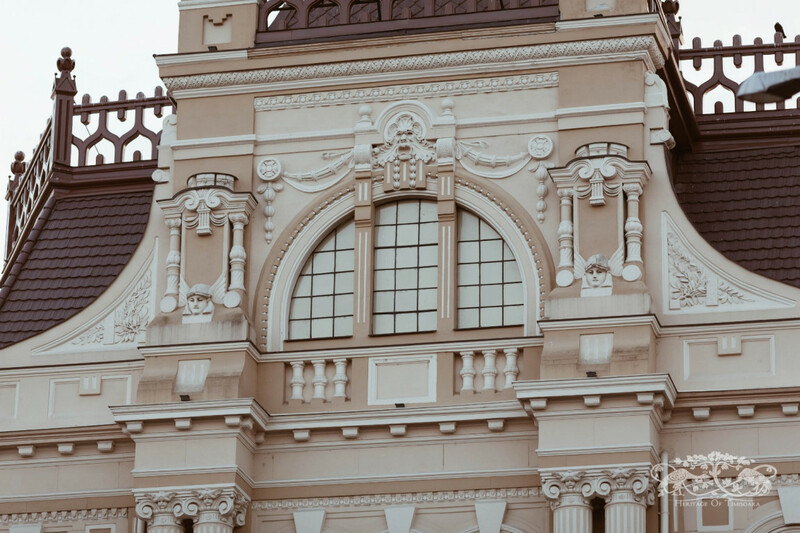 The play of the roof volumes as well as the presence of the tower provide a monumental presence to the palace, making it a good gateway to the Iosefin neighbourhood. 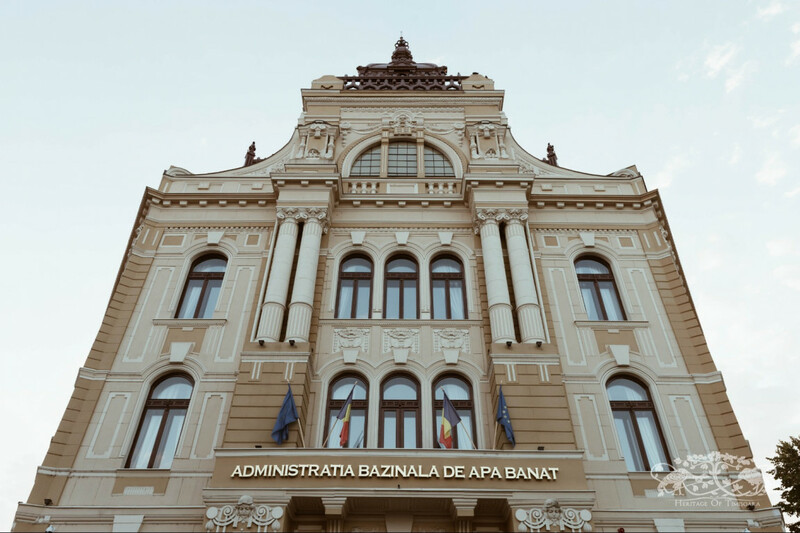 Property of the Banat Water Basin Administration today, the Palace of Water was recently renovated, under the guidance of the architect Sorin Henţ. 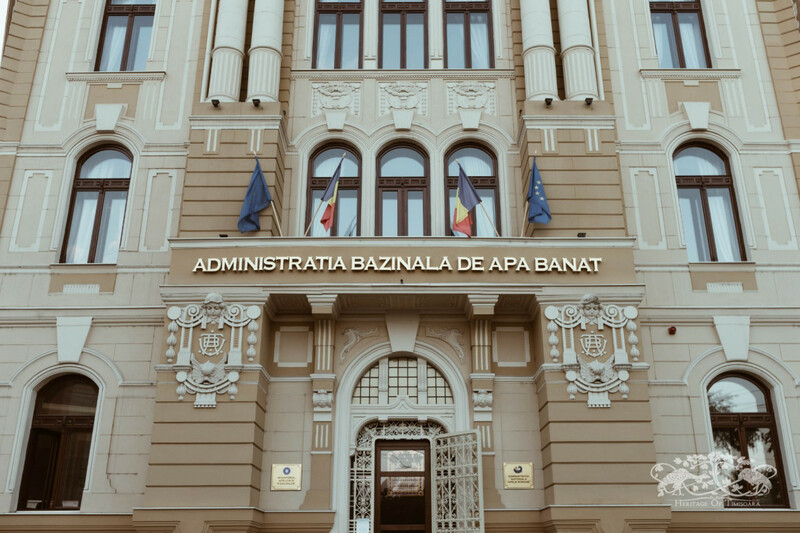 With the renovation, rooms for delegates were added to the building's attic. 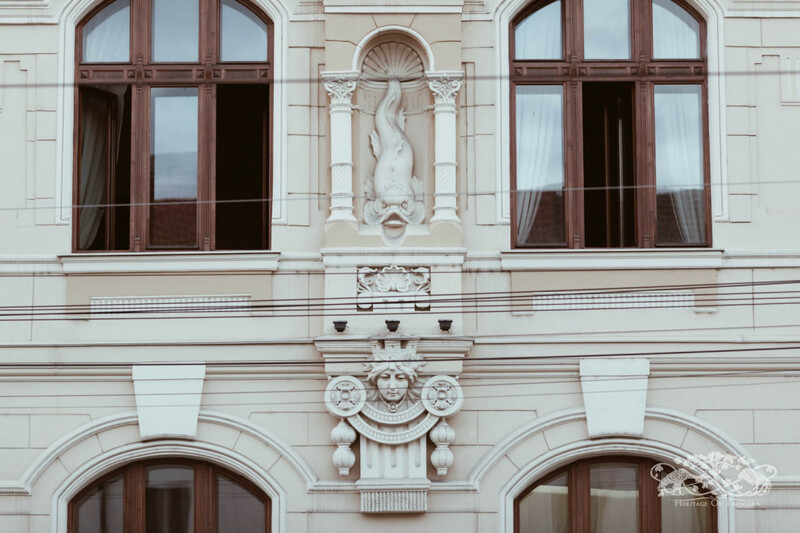 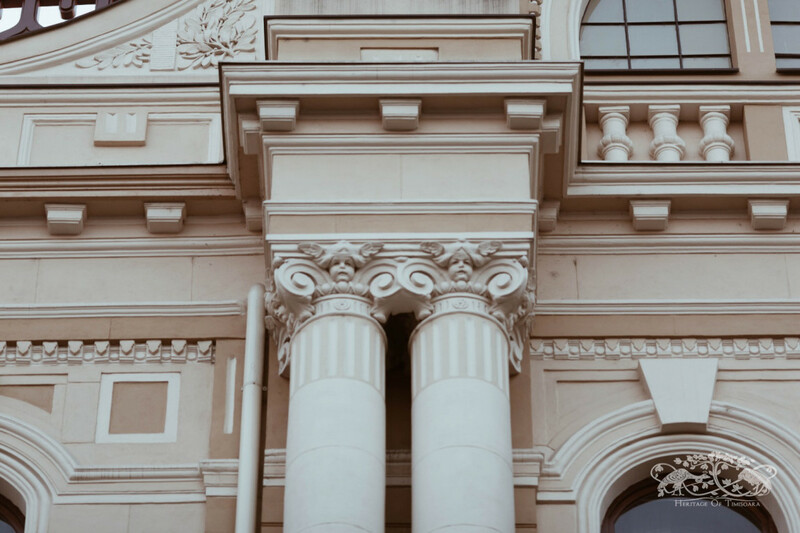 The renovation process was tedious and, unfortunately, the edifice lost some of its decorations, which conducted to a constant argument with the locals. 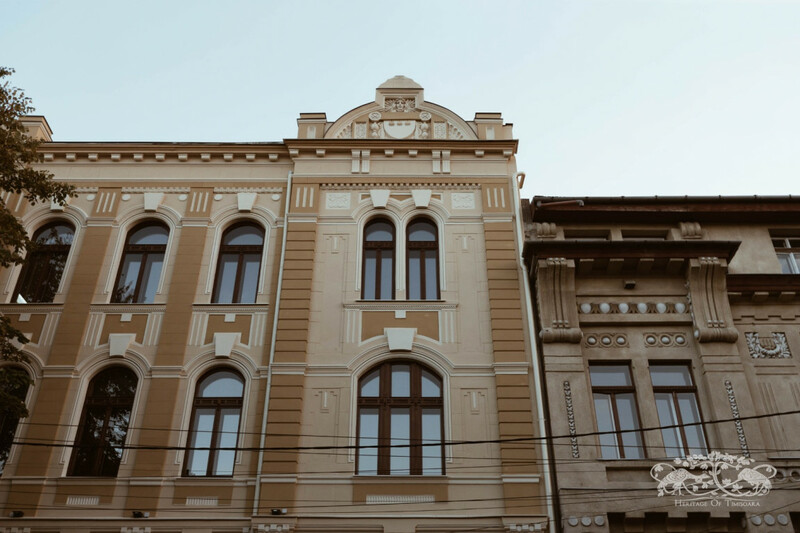 Over the course of the Heritage of Timișoara: Iosefin project, which took place in 2018, Kape Illustration has illustrated the The Palace of Water. 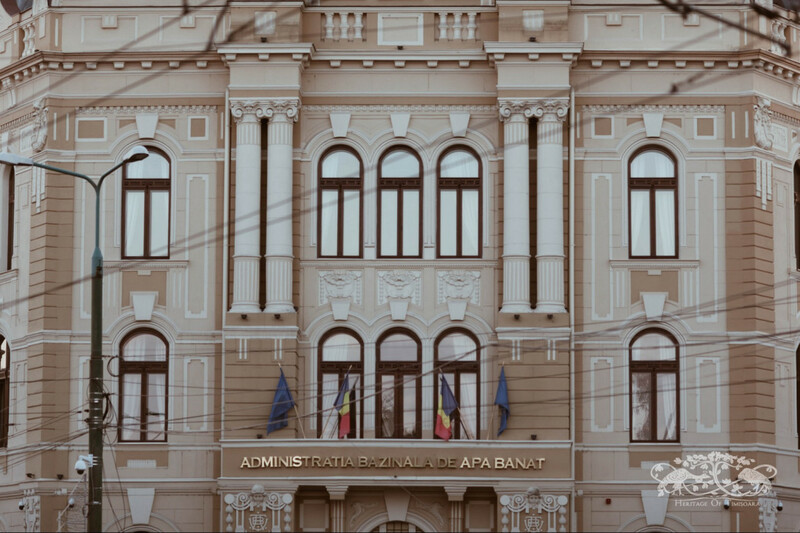 Send your loved ones this illustration as a digital postcard and actively contribute to promoting Timișoara’s cultural heritage! 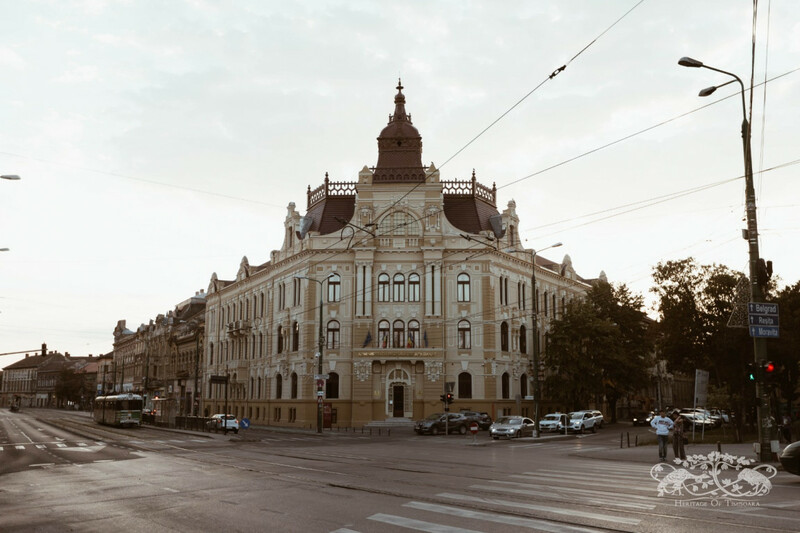 Add your contribution to this building!